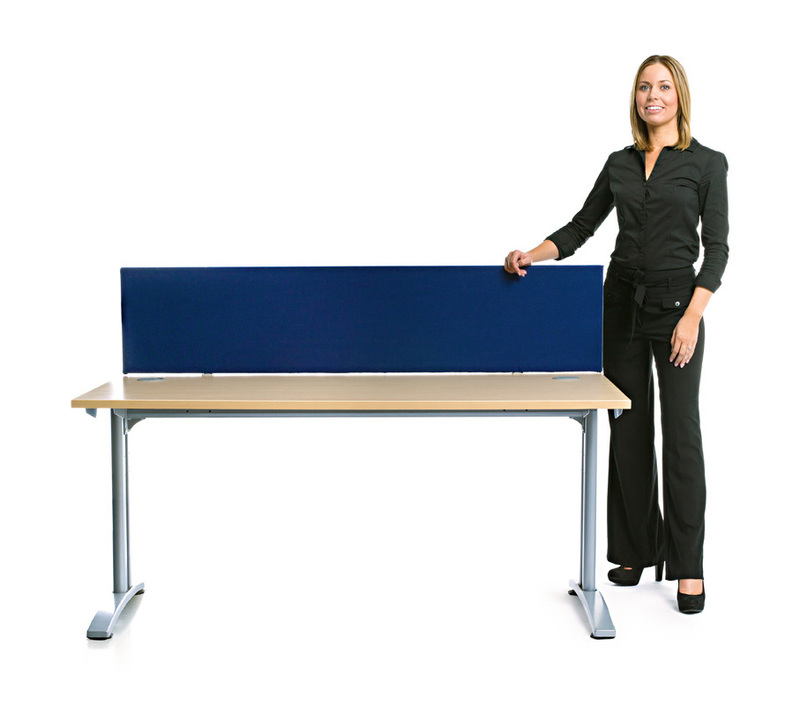 Our Standard School Office Desk Screen is ideal to use as a desk divider in school offices as well as classrooms. Measuring 480mm high, it is available in 5 widths – 800mm, 1200mm, 1400mm, 1600mm and 1800mm. 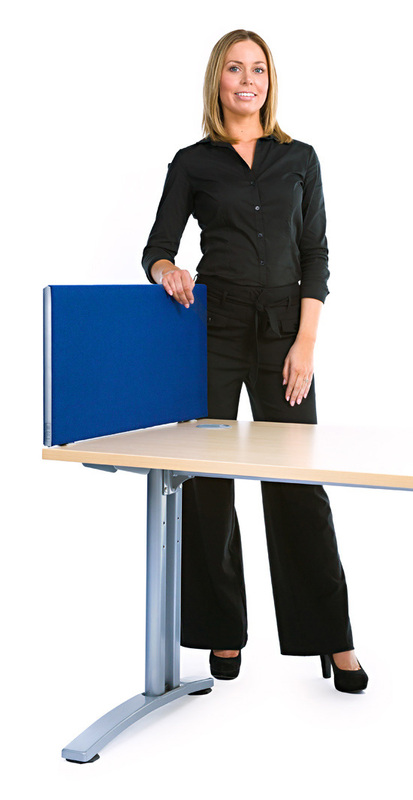 The screen is 25mm thick and is covered both sides with commercial grade fabric making it durable and long lasting. Choose from 11 fabric colours. 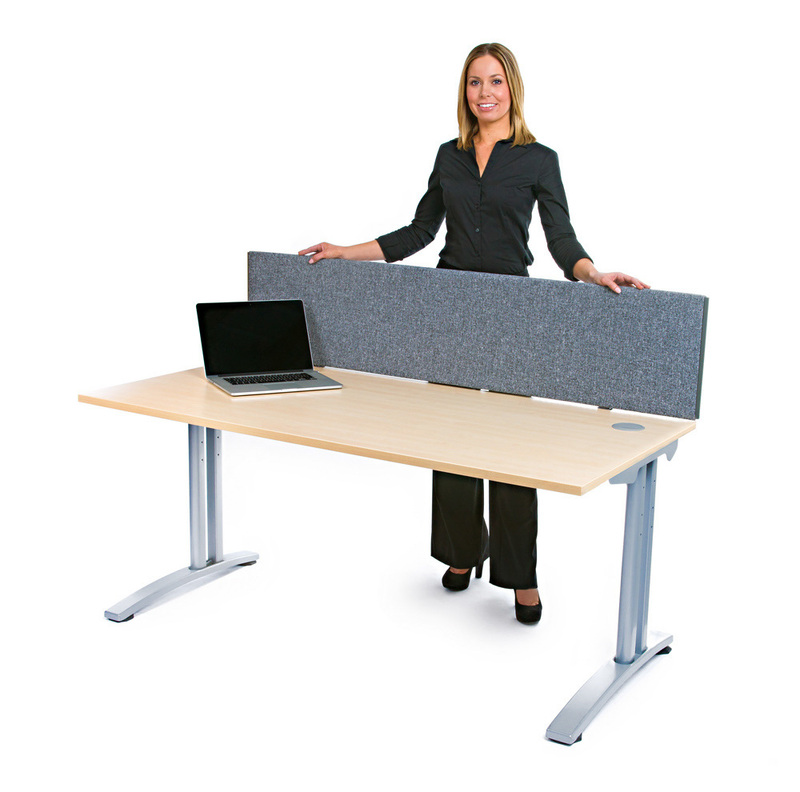 To fix to a desk the desk partition comes with a pair of clamps that are straightforward to assemble and fix. 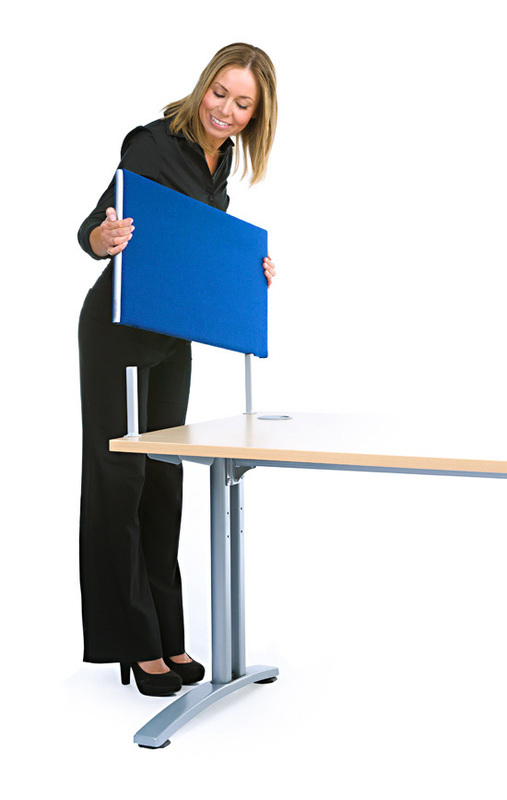 The clamps supplied are adjustable and will fit a desk between 18-32mm thick – please see our guide on how to measure your desk. 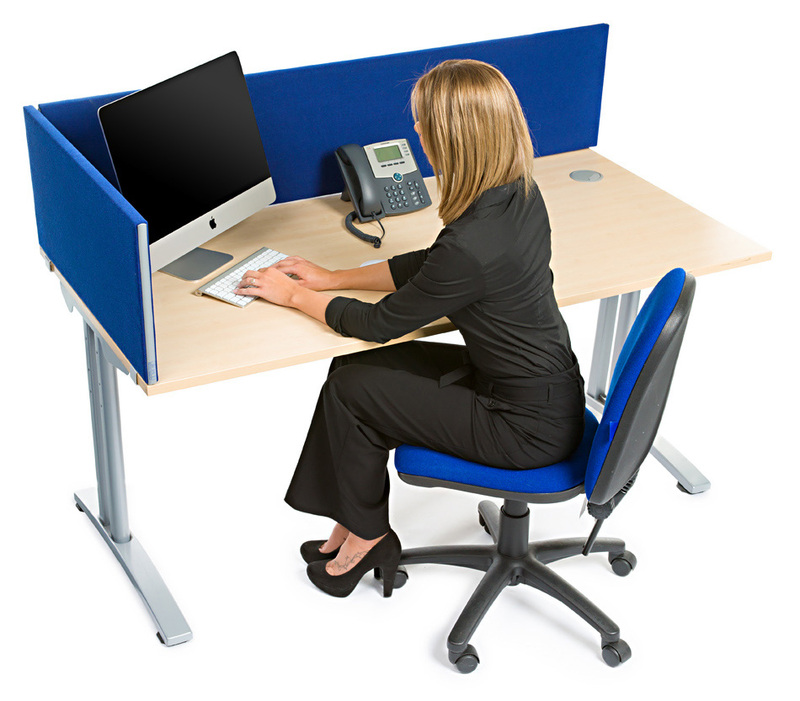 If this does not suit your requirements, please call our sales team on 01733 511121 for other options. 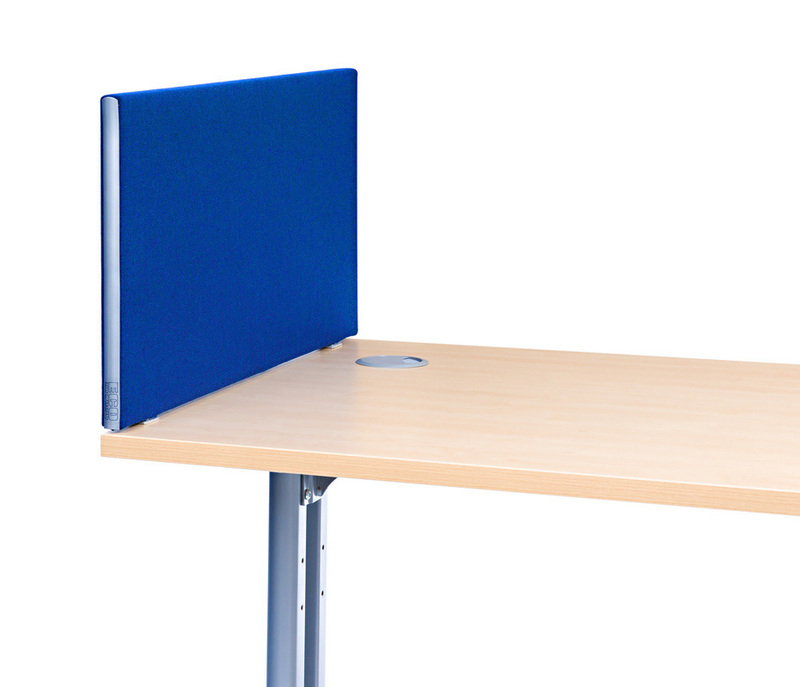 This desktop screen has a uPVC protective edge trim which is available in silver grey, white or black. Our school office desk screens are linking and can be joined to other screens in the same range. 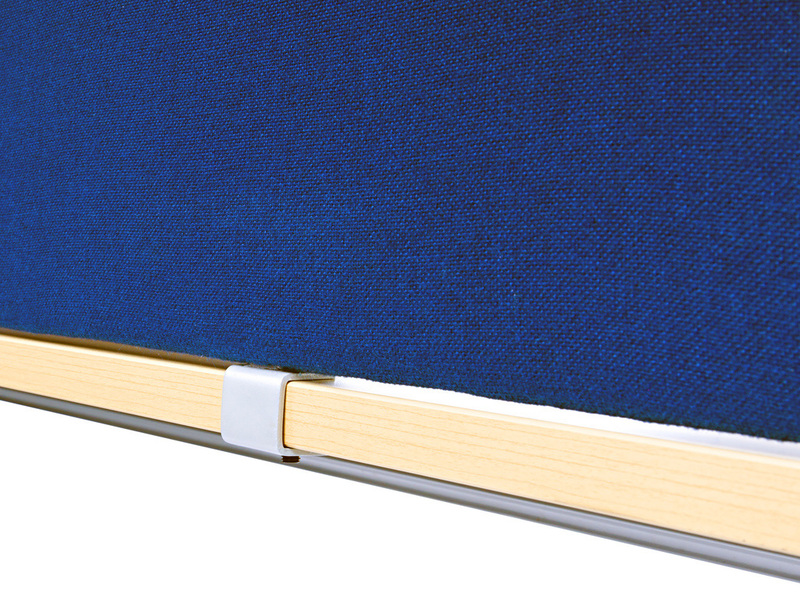 Included with each screen is an in-line linking strip and an angled linking strip. 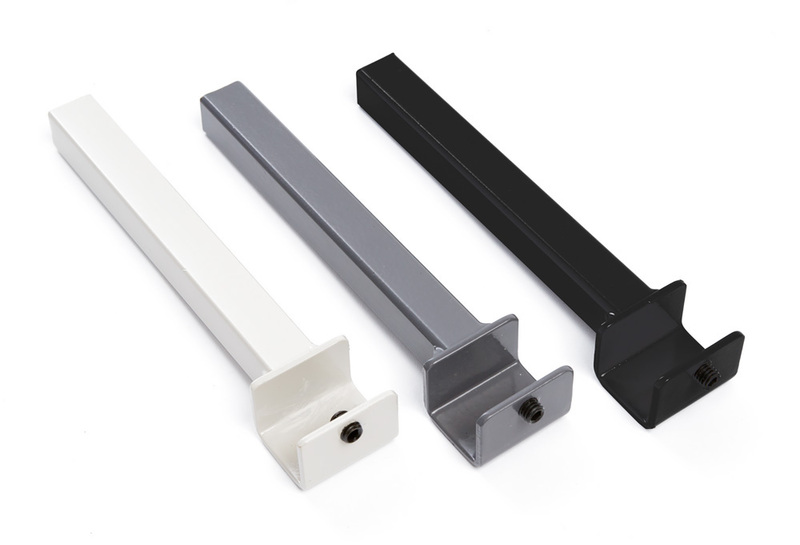 For screens which are not to be linked we also include two finishing strips to give a flush end finish. View our range of screens. If you need help in choosing the right desk or office screens for your school please Contact Us or call our sales team on 01733 511121. Made to order and dispatched within 5-7 working days.